Many of us are lucky enough to have a few people in our life that we love; children, parents, friends, siblings… And all of those relationships are important but you are the most important person in your life. But if you are tired of tearing your hair out and want to take your life back then its vital that you look after yourself first if you are going to have any hope of juggling all of those balls and staying sane! So I want you to think about how you can love yourself today. If that sounds a bit odd don’t worry you don’t have to tell anyone but I want to challenge you to have a rethink about the L word. … why stop at “like” though, next time you look in the mirror wouldn’t life be better if you could truly say “I love myself”. The best way to teach your kids to love, value and respect themselves is for YOU to lead by example. Loving yourself means you can start being a better, happier version of you and your kids need a happy mum not a stressed and shouty mum. When you love yourself you don’t need the approval of others and that means you can start to live the life you want to live not the life you think you SHOULD live. Challenge those critical self-thoughts. Would you talk to your best friend the way you talk to yourself? Say no to someone. We all know someone who always wants help with something. If someone immediately springs to mind plan how you are going to say no next time or say yes I can do X for you but I’m really busy so could you do Y for me. So…. 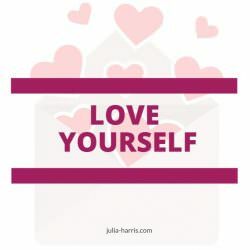 what are you going to do TODAY to love yourself? Thanks Jackie, Im glad you enjoyed it! Do you know what you are worth? Are You Brave Enough To Make The World A Better Place? 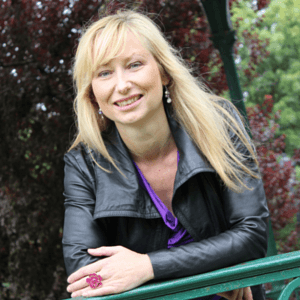 Julia is a coach and NLP Practitioner on a mission... to empower women to live a bigger, bolder, brighter life. Because you can only change the world by being the best version of you... THE REAL YOU!